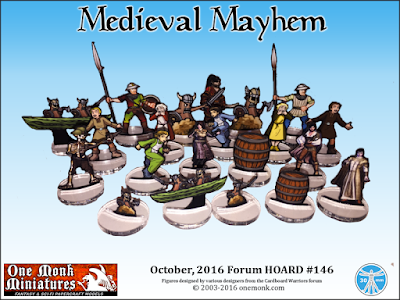 I've been working on some adventure skirmish game rules for a long time and just recently a piece fell into place in my head and clicked. I'm not shooting for an RPG system as I've been greatly enamored of the rules "lite" systems that have been proliferating over the past five years. I've been trying to solve issues without resorting to lots of stats but d20 systems have conditioned me to default to too many stats and saves. I wanted less. Two Hour Wargames really only has one stat; Reputation. 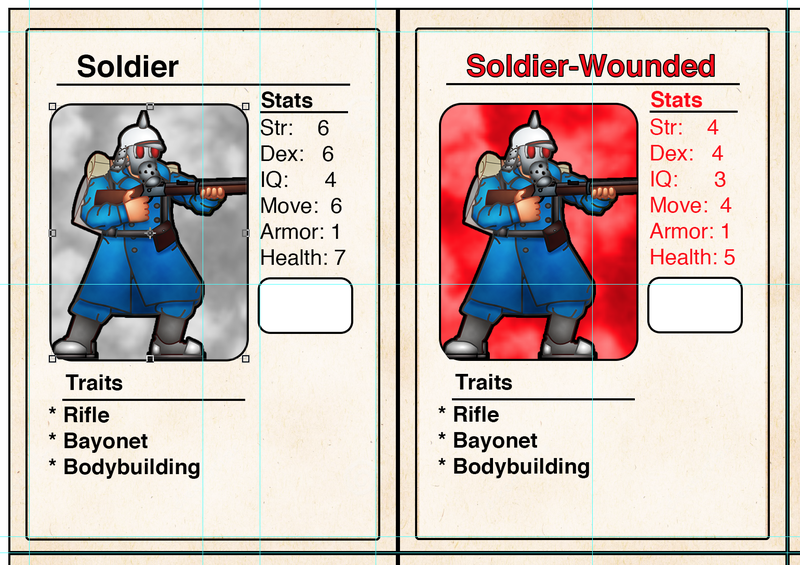 Song of Blades systems have two; Quality and Combat. And The Fantasy Trip that I played in more than 30 years ago really only had three; Strength, Dexterity, and Intelligence. And that's what finally clicked for me. You don't use the stats to modify some other roll for an action, the stats are the target numbers for the actions, which are then modified by traits and the situation. When Characters and Heroes Health reaches 0 their card flips over and they can continue but their stats are reduced due to injuries. That's the basics, I'll write more later. 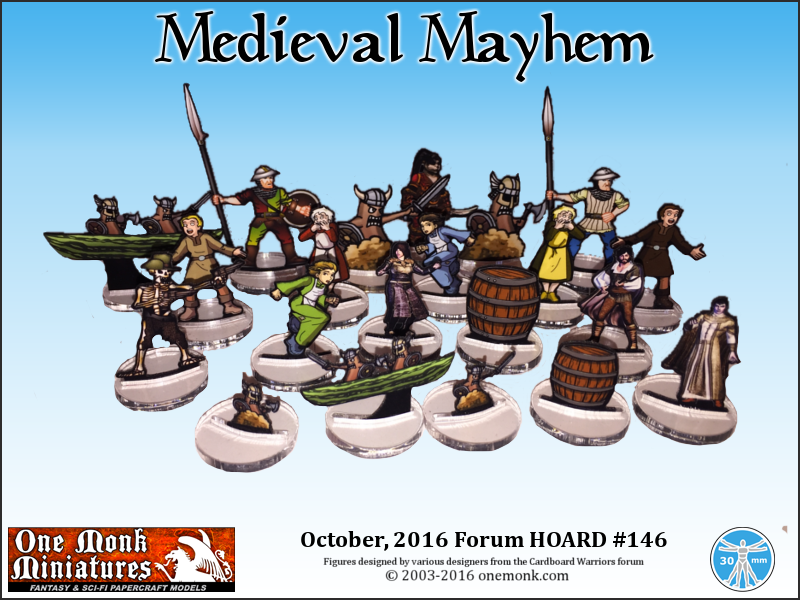 Forum Hoard #146 - Medieval Mayhem! 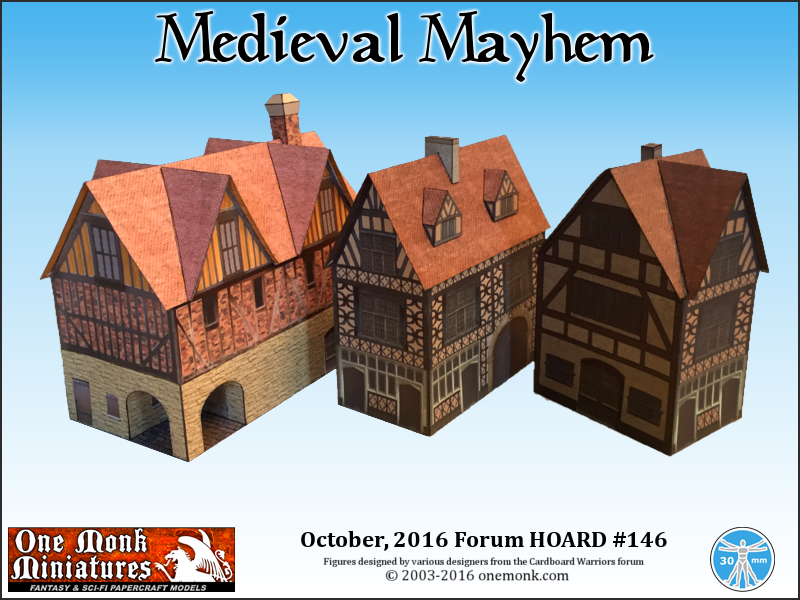 It's mayhem medieval style with Forum Horde #146 - Medieval Mayhem! Get it now! I finally had time to get back on the Terra Force updates and I've uploaded the Terra Force Heavy Weapons set with three additional colors. I've also updated the format on the additional colors to be compatible with the Silhouette Studio 3 automated cutters format. 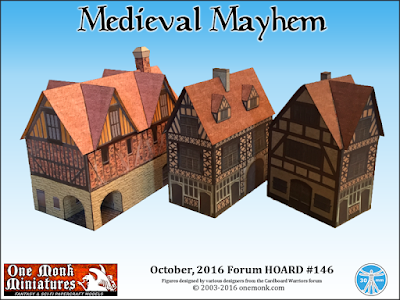 The old version formatted in GSD format for older model cutters is still there. What I'd like to do next is release a small pack of Heavy and Special weapons with tripod stands and operator/gunners that aren't integral to the weapon. 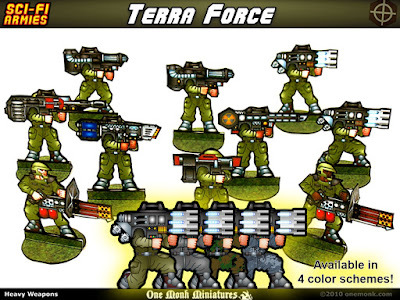 These would also be in the same four color schemes as the other updated Terra Force minis.